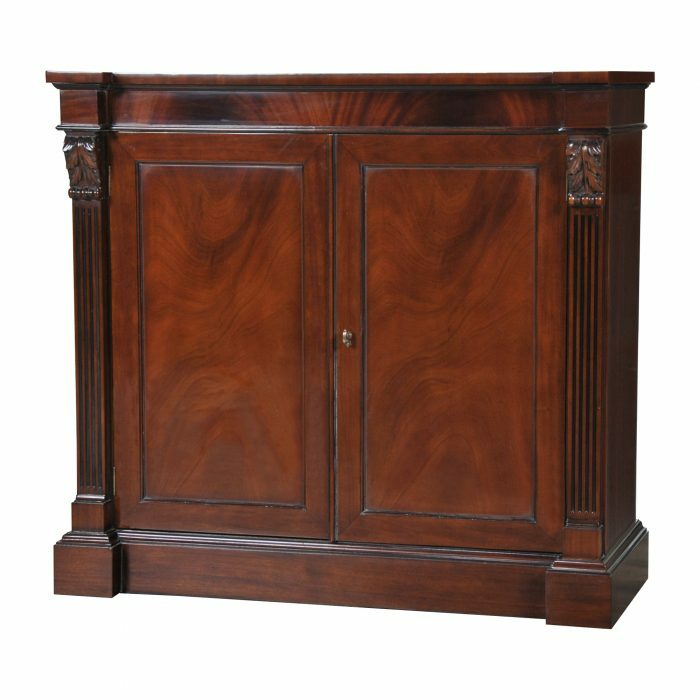 Ideal for entertaining the Niagara Furniture Bar Cabinet offers a lot of storage while using up a small amount of wall space. 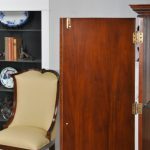 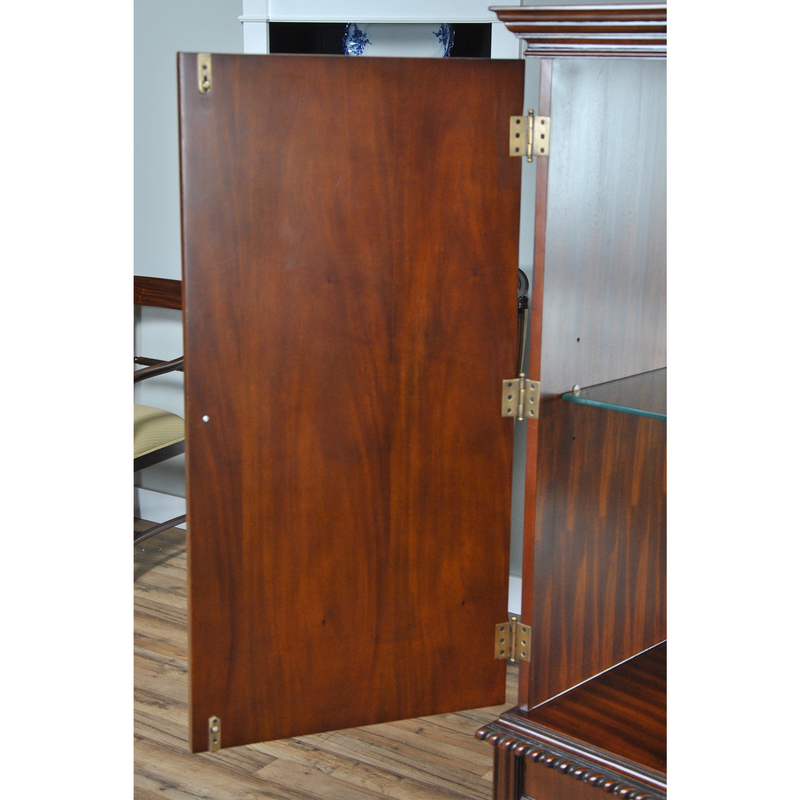 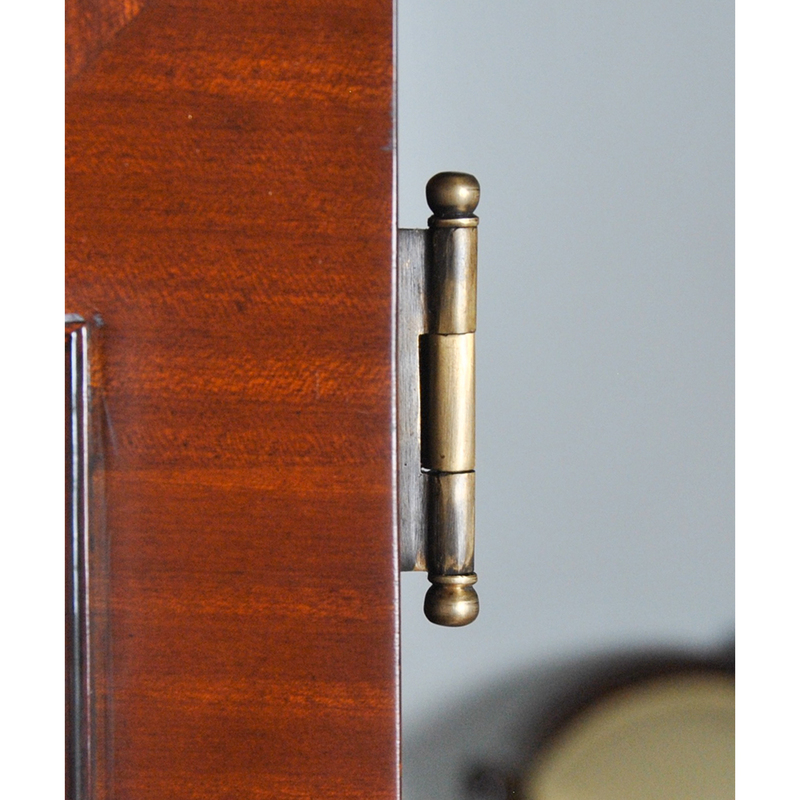 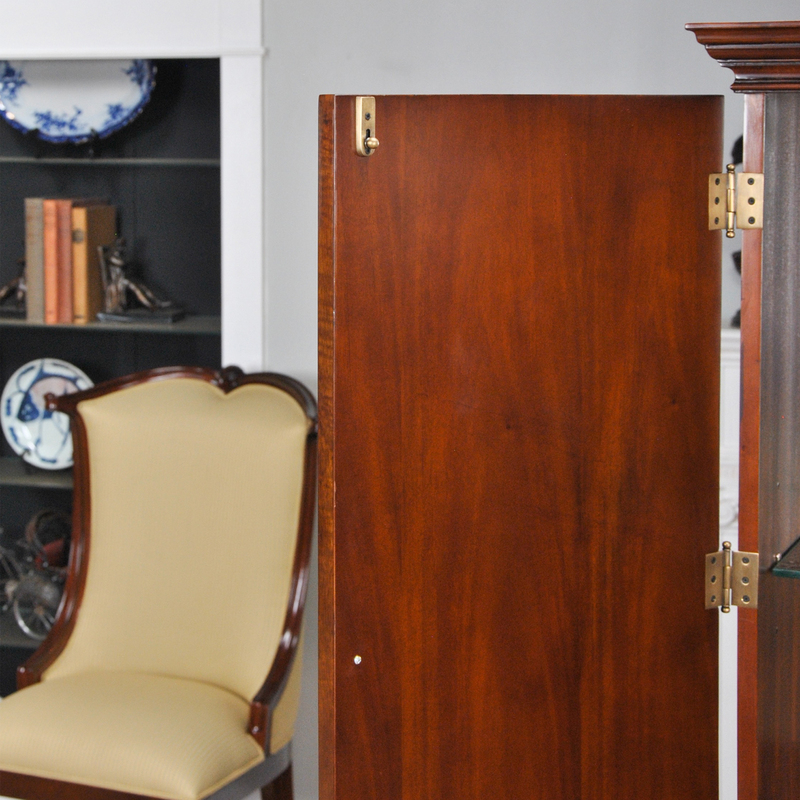 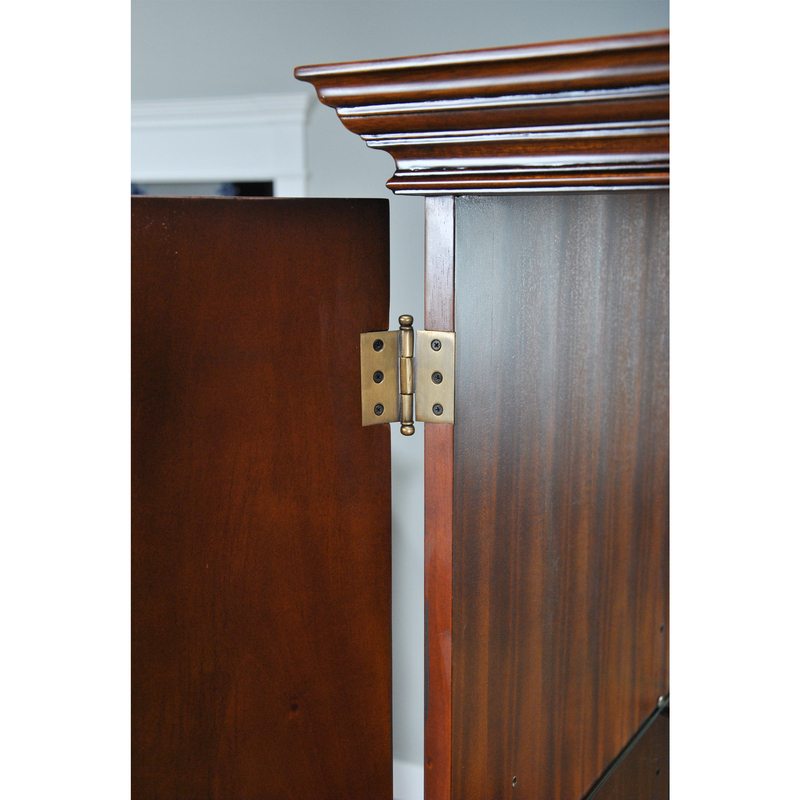 The two handsome doors are mounted on pivot hinges and the mirror backed cabinet behind the doors offers a lot of storage space while the tall legs keep the piece looking light and elevated. 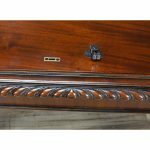 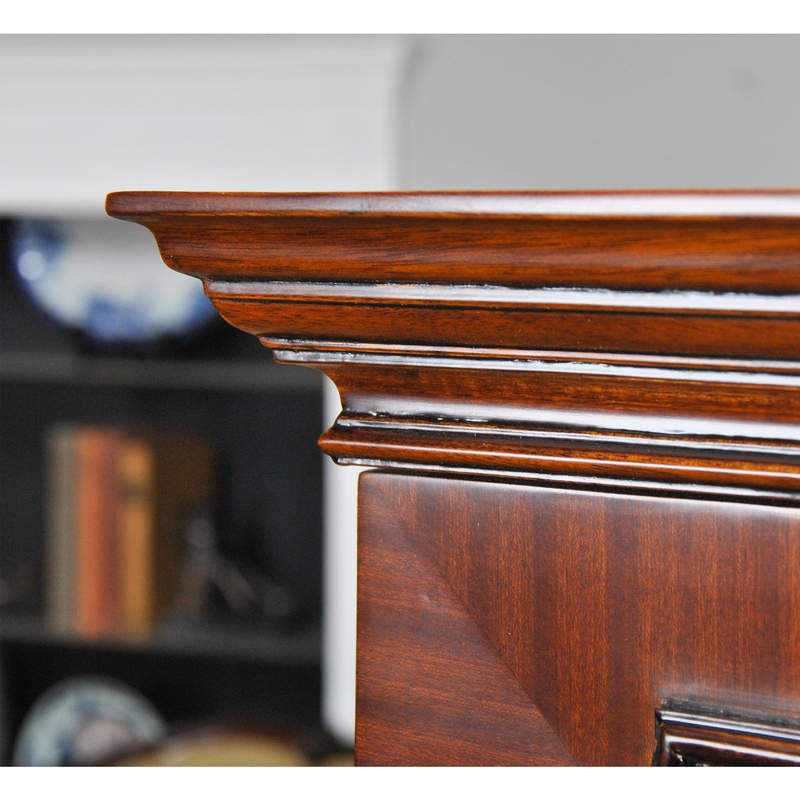 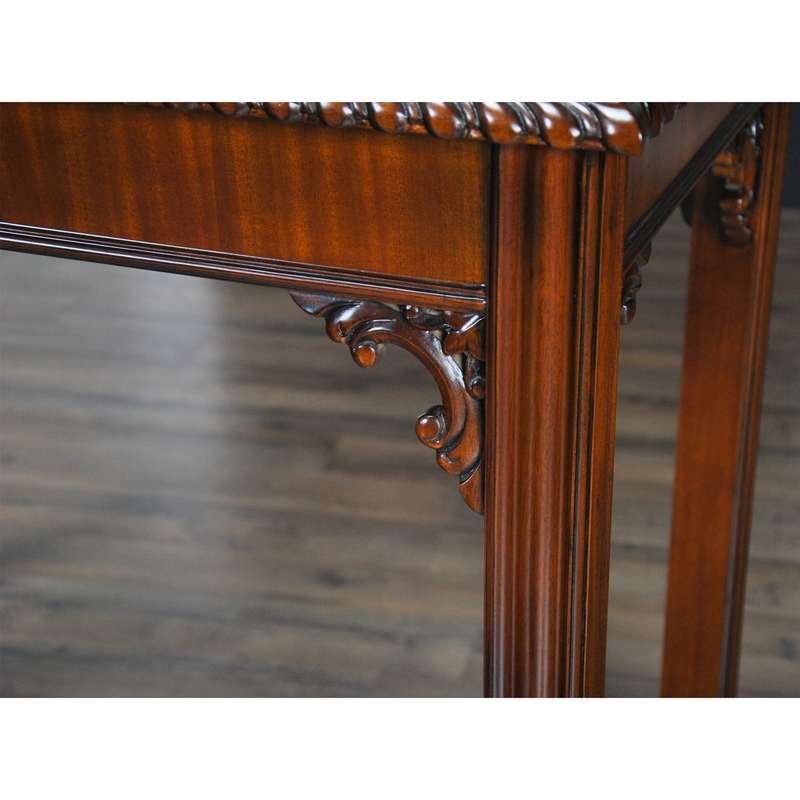 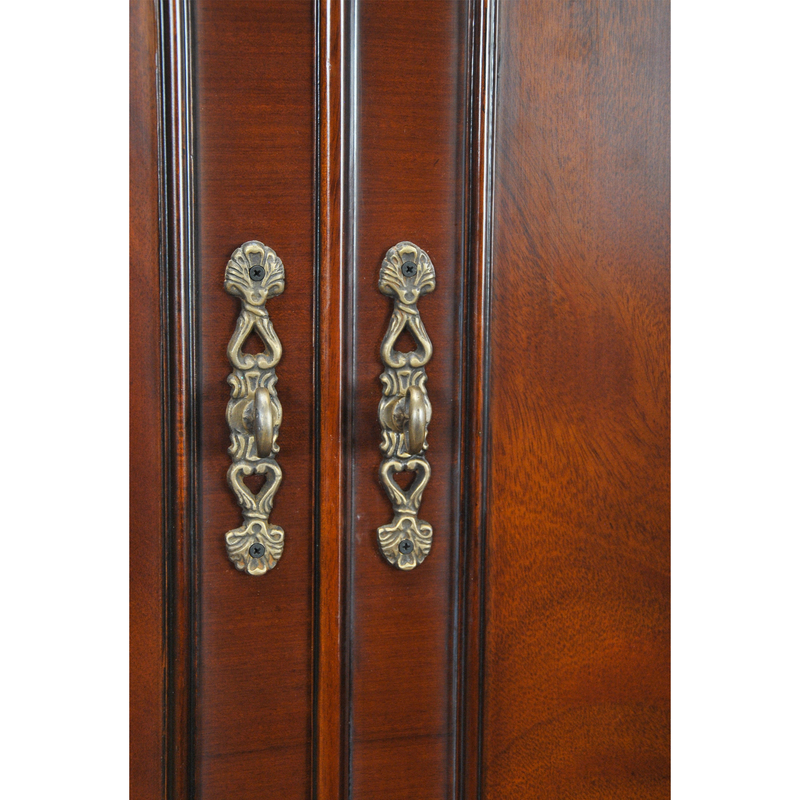 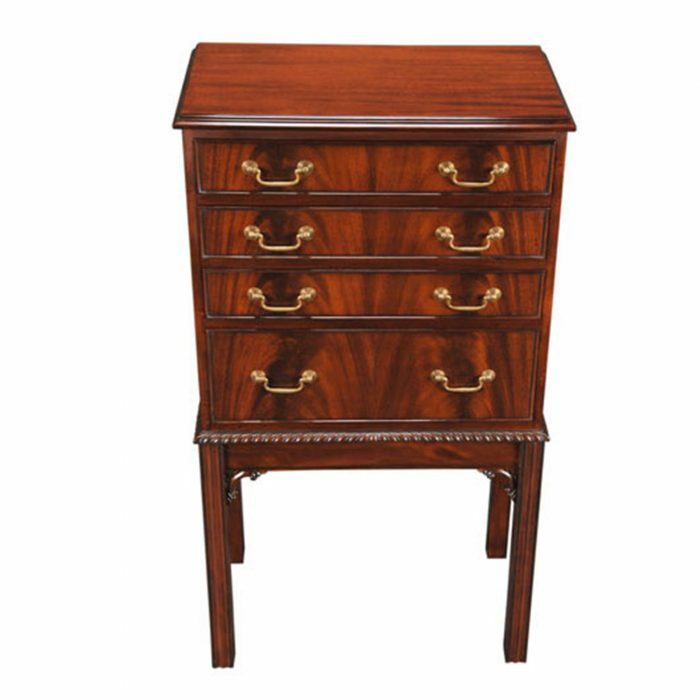 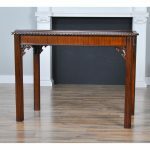 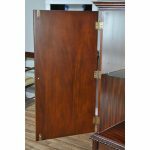 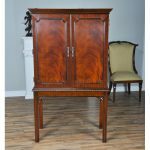 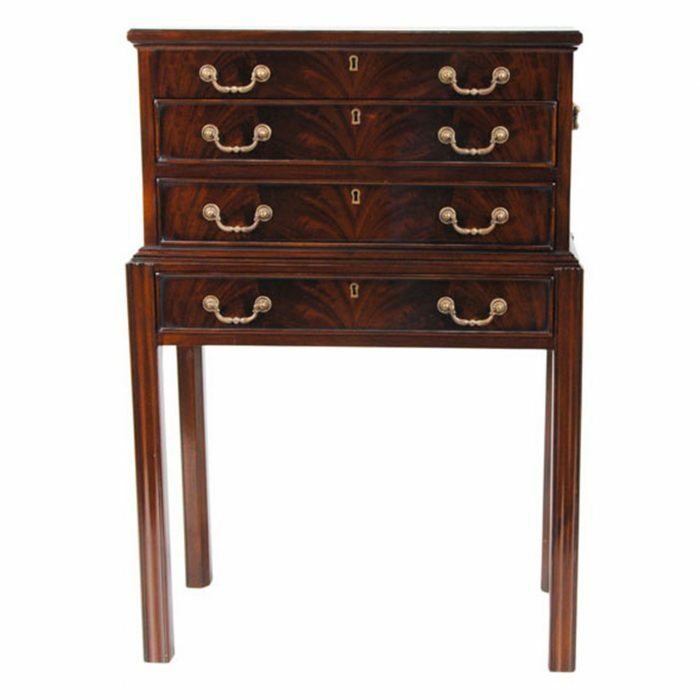 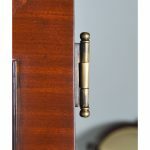 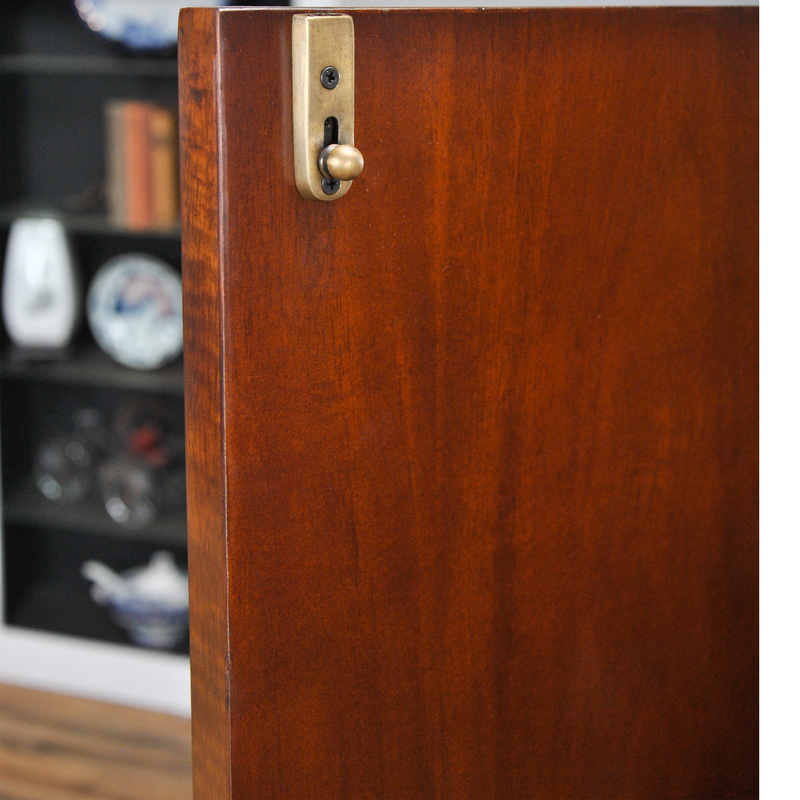 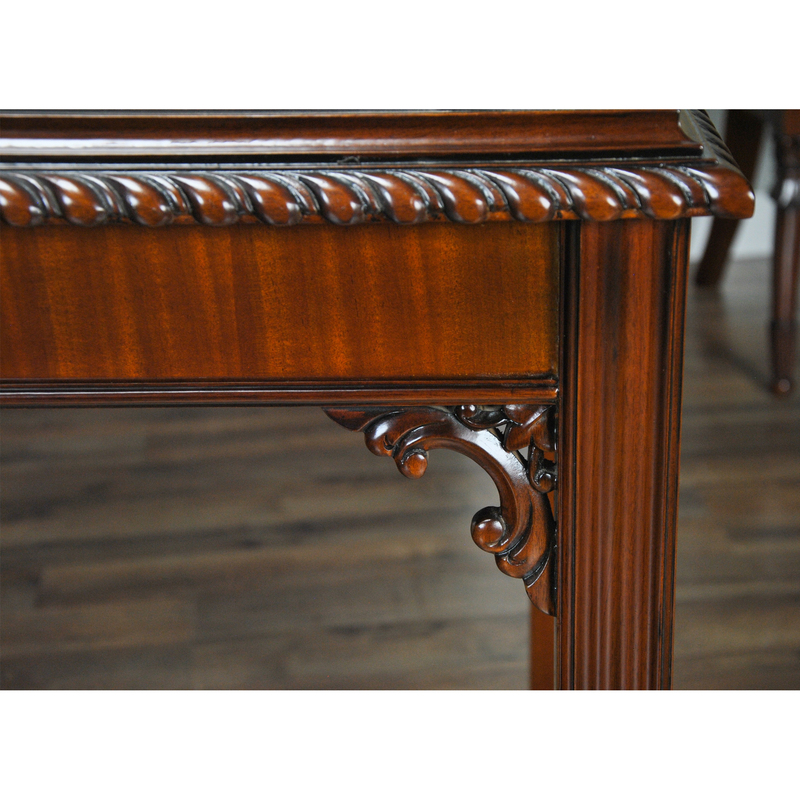 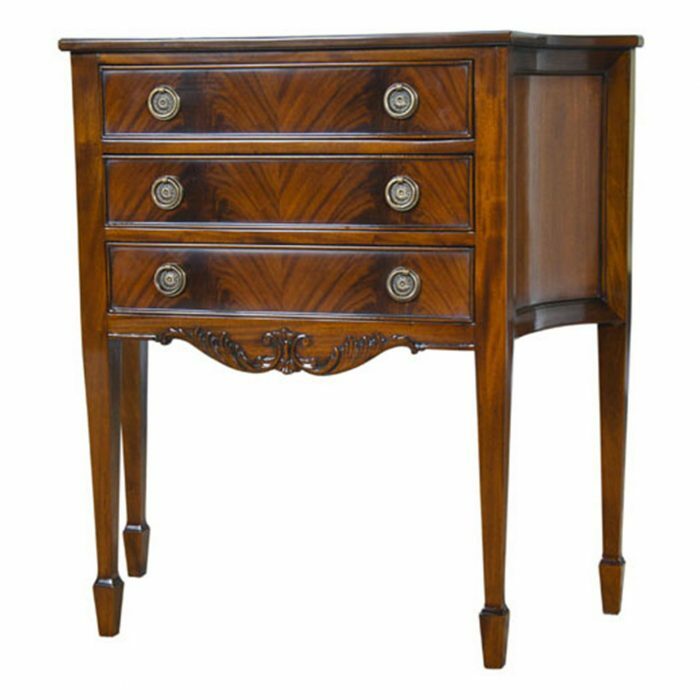 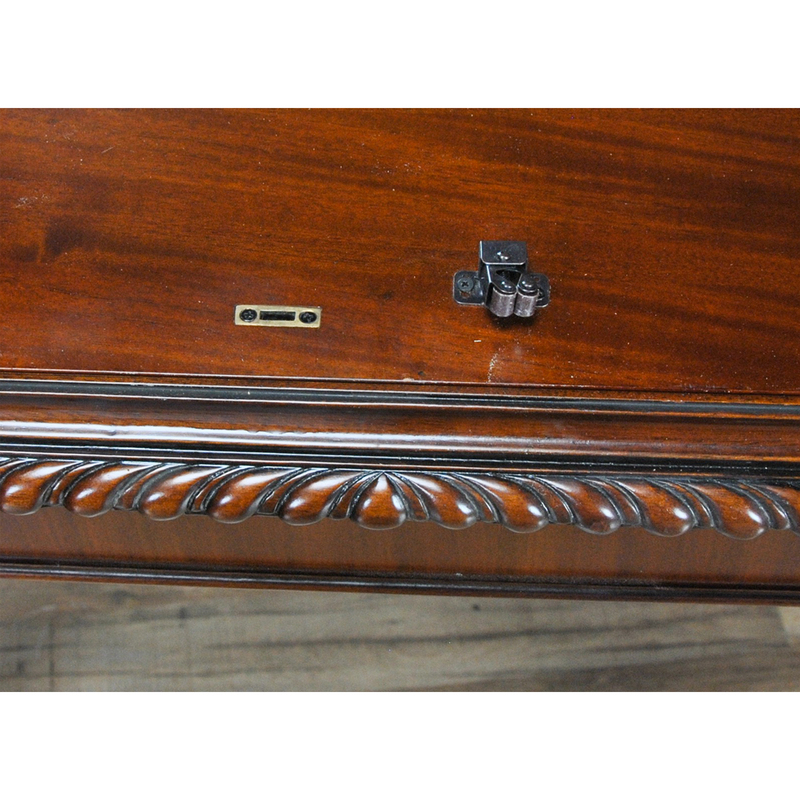 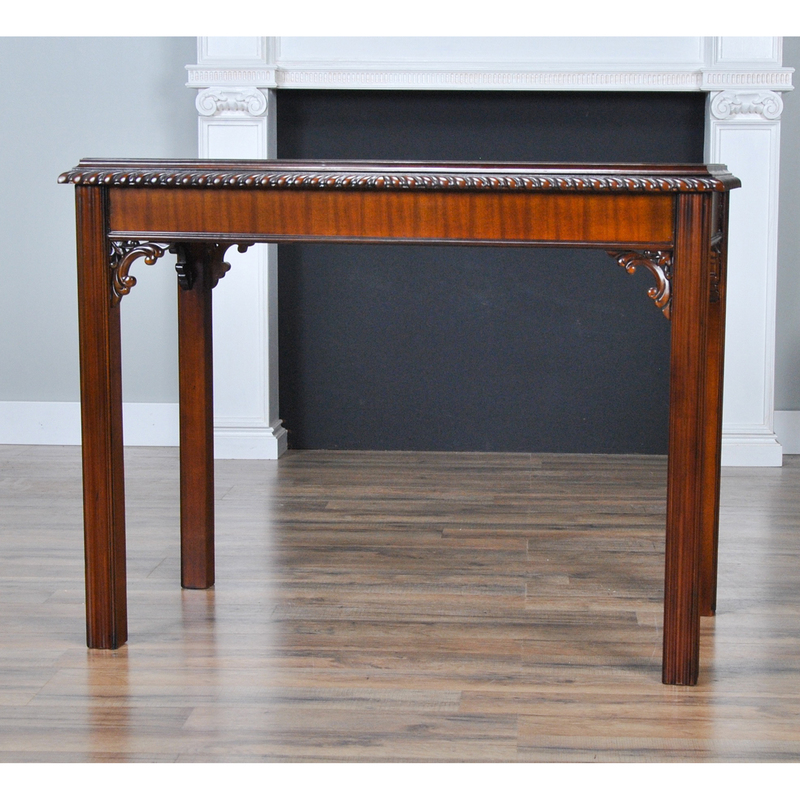 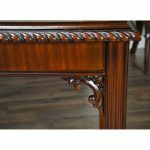 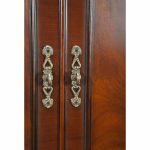 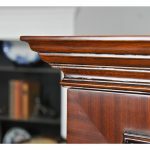 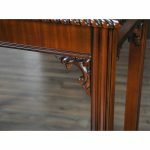 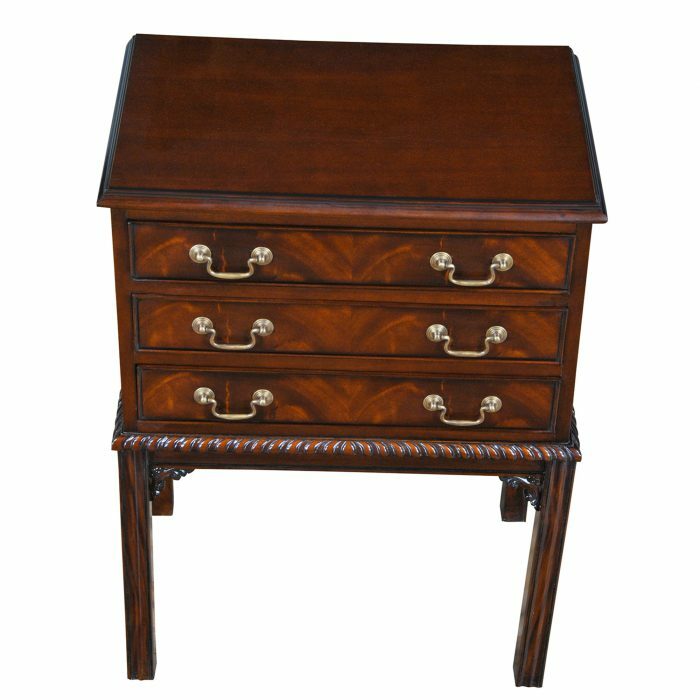 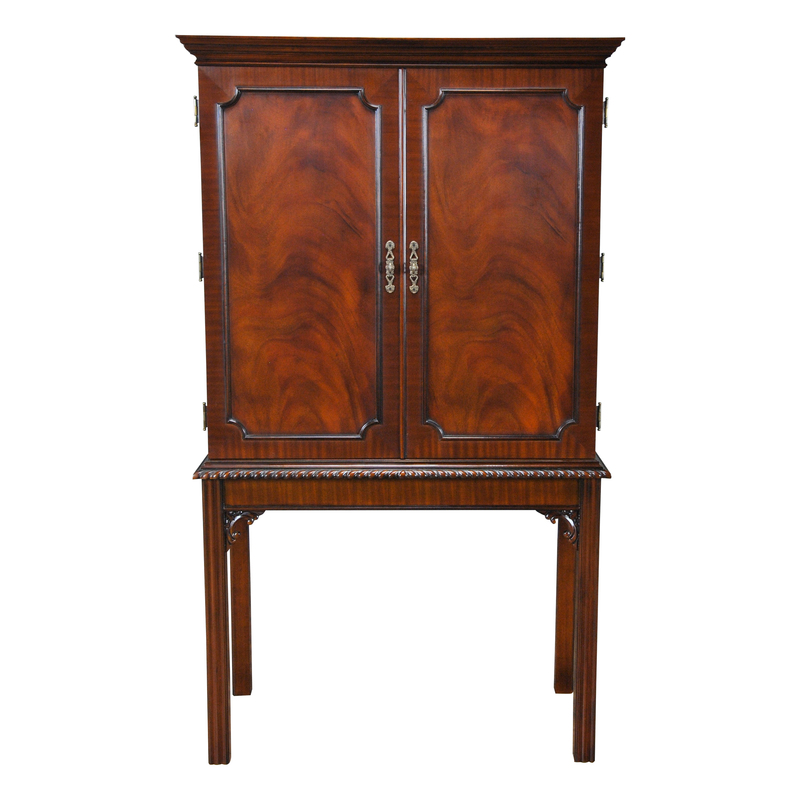 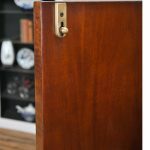 Produced from the finest quality solid mahogany and mahogany veneers the Bar Cabinet features beautiful hand carved details which can be appreciated for a lifetime. 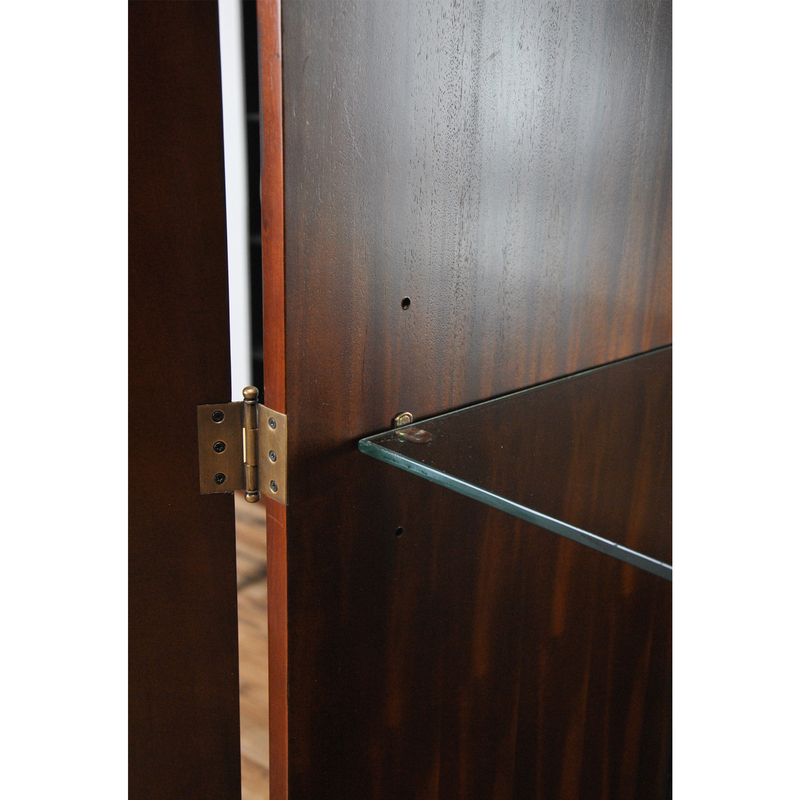 Useful in many settings our bar cabinet can be adapted to many different purposes. 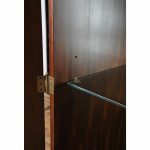 The glass shelf rests at a height of approximately 18 inches and can be either raised or lowered by approximately three inches. 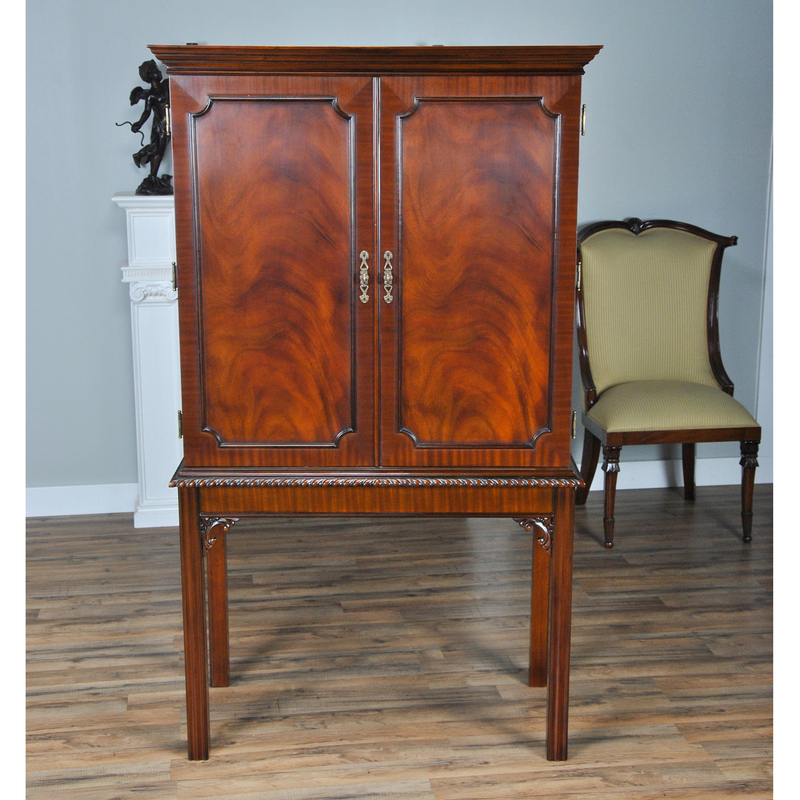 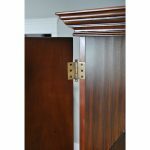 The Niagara Furniture Bar Cabinet is cleverly constructed in two sections for easier transportation and set up.